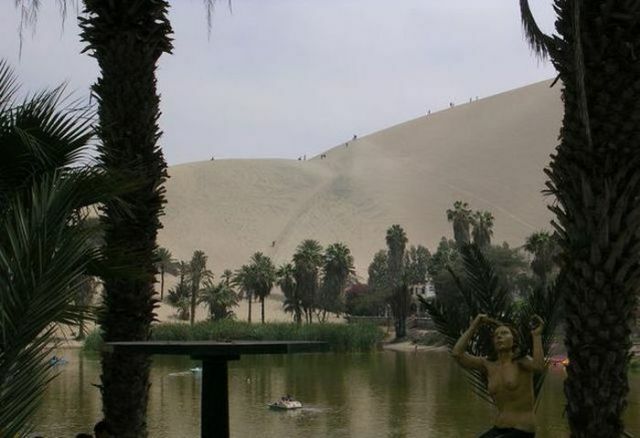 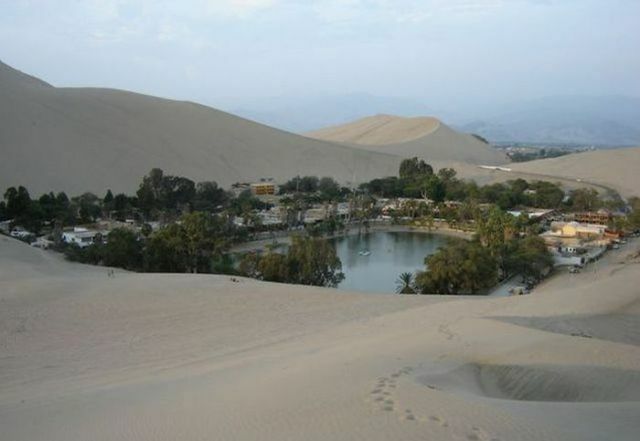 Huacachina is a village in the Ica Region of southwestern Peru. 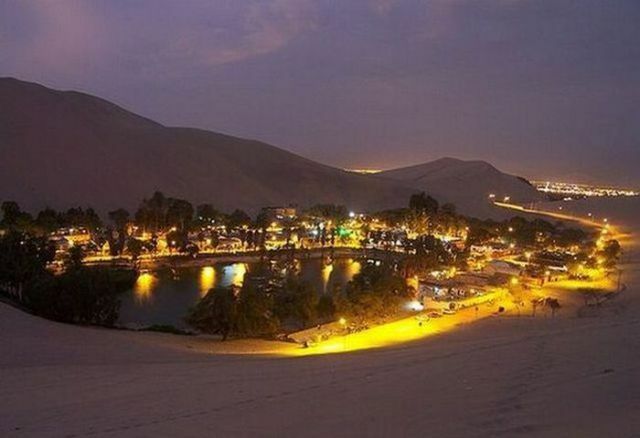 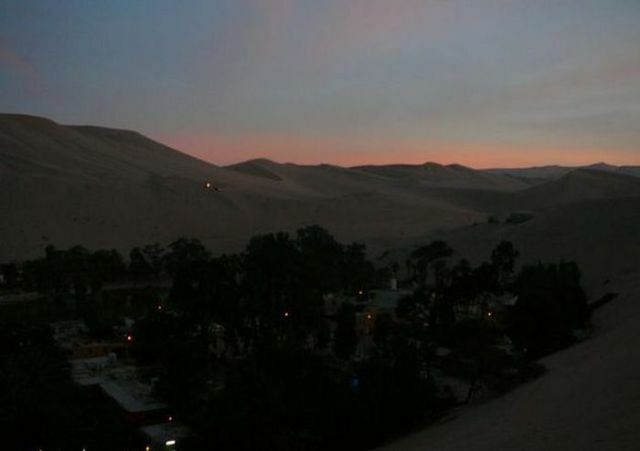 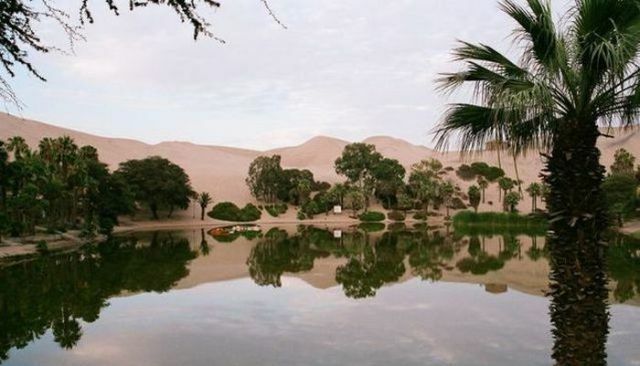 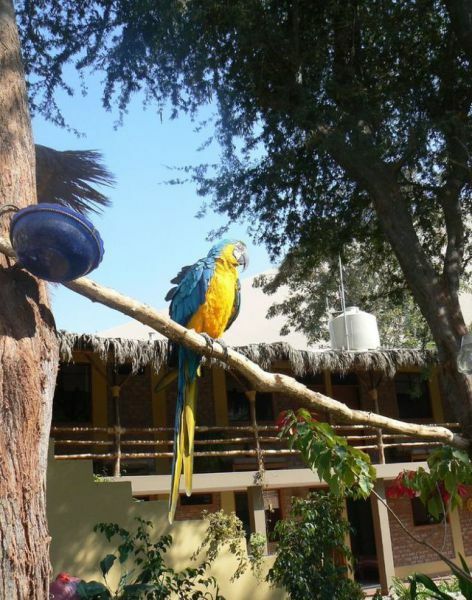 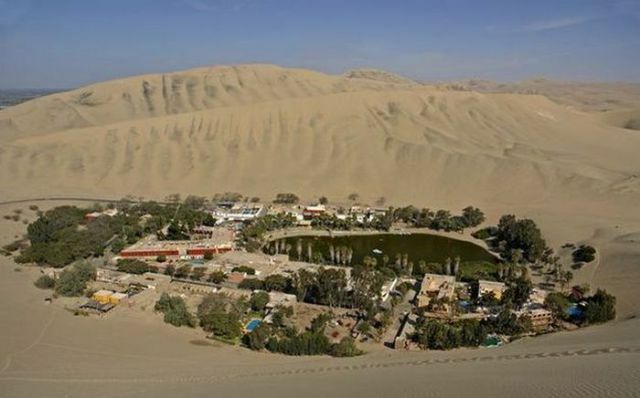 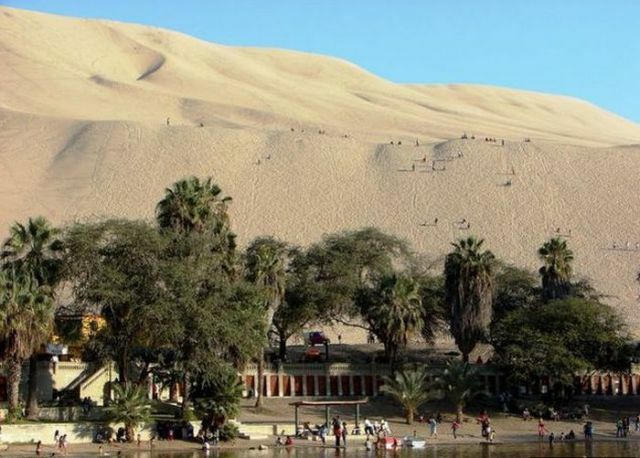 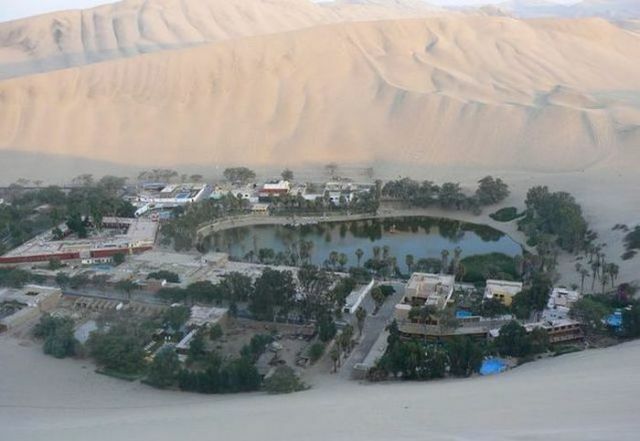 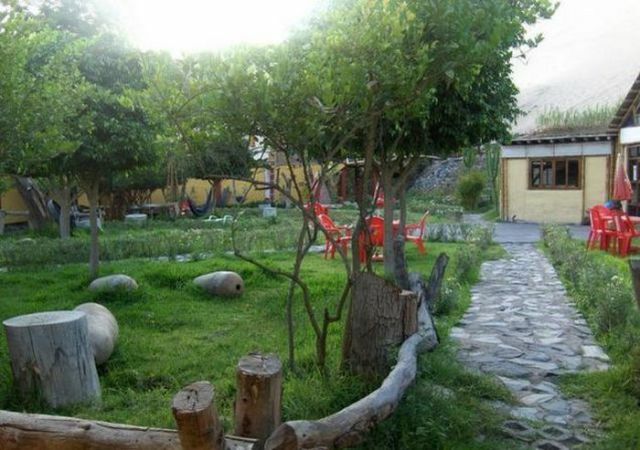 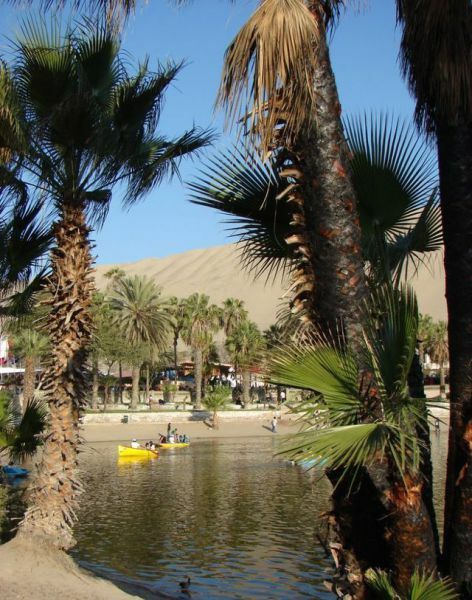 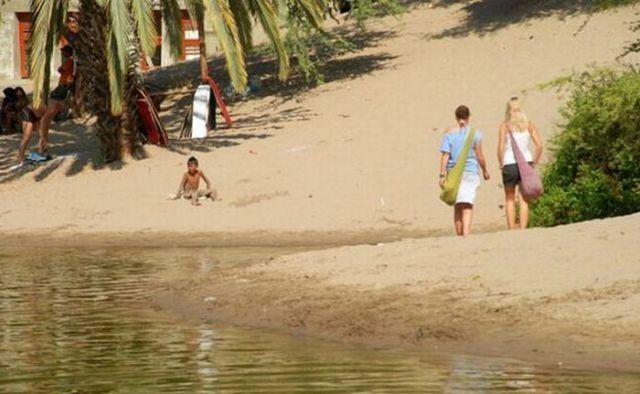 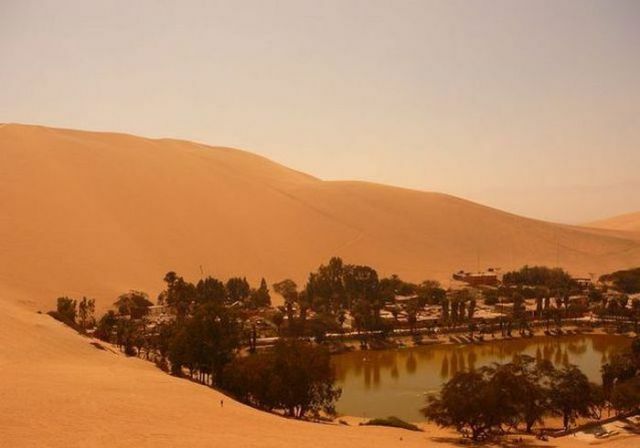 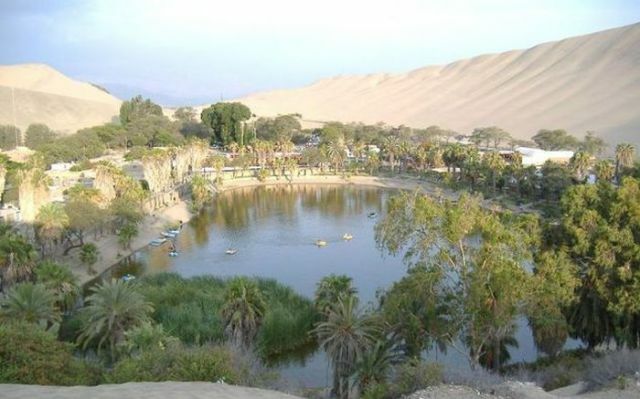 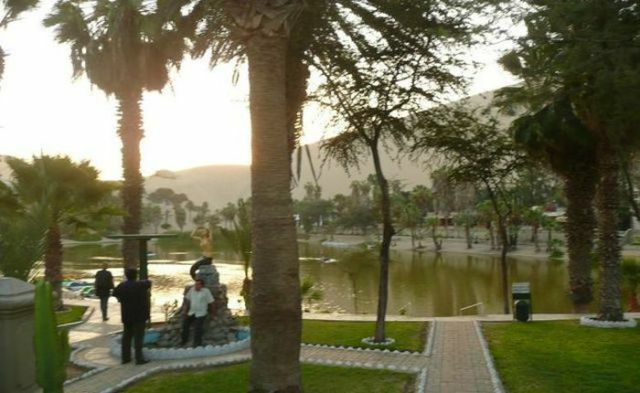 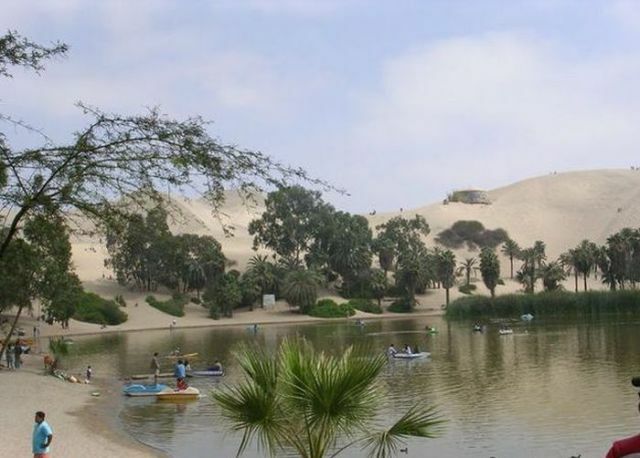 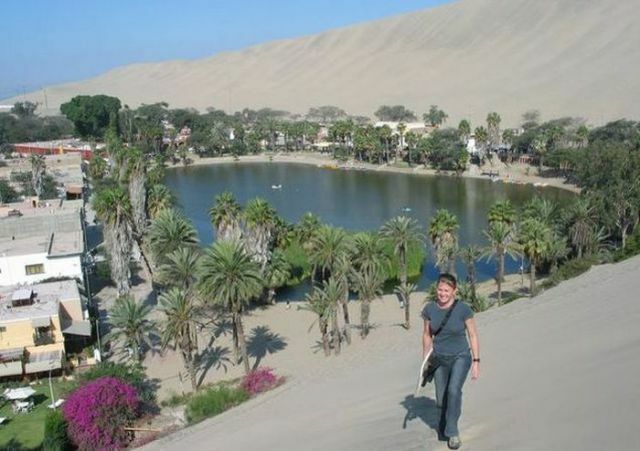 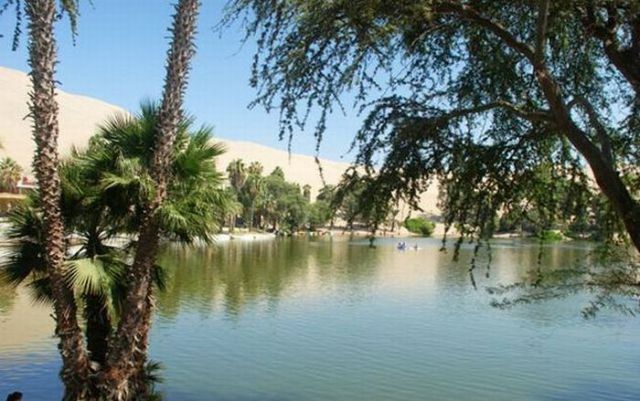 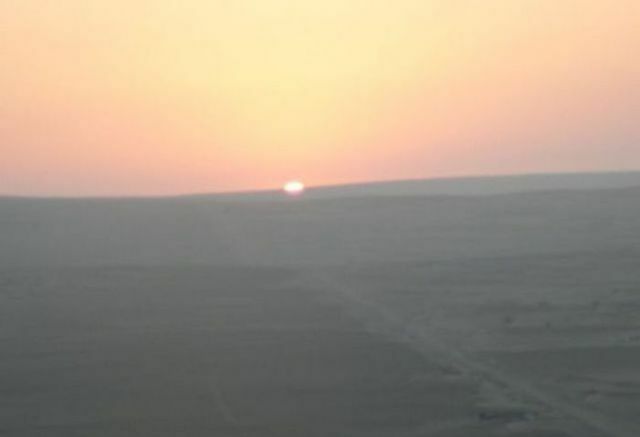 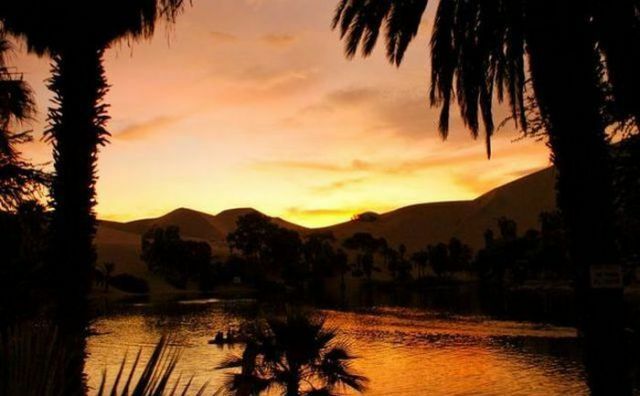 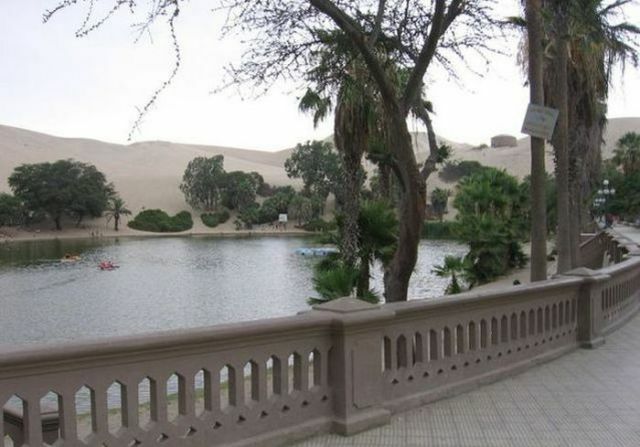 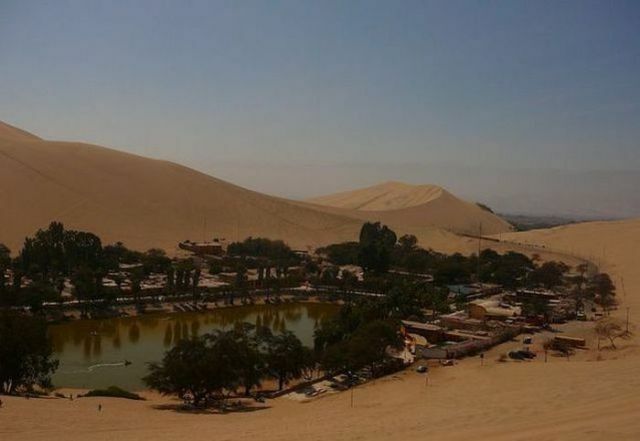 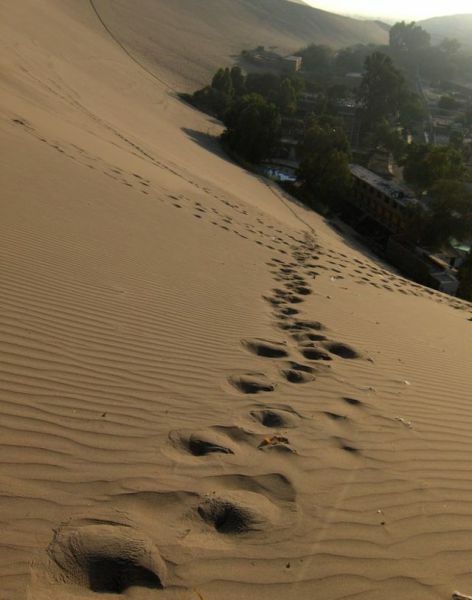 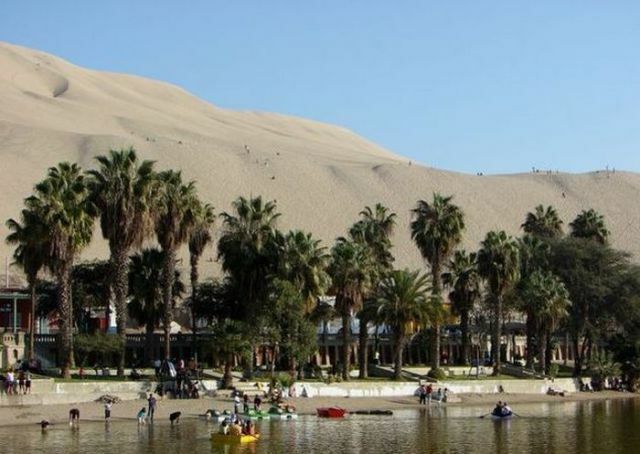 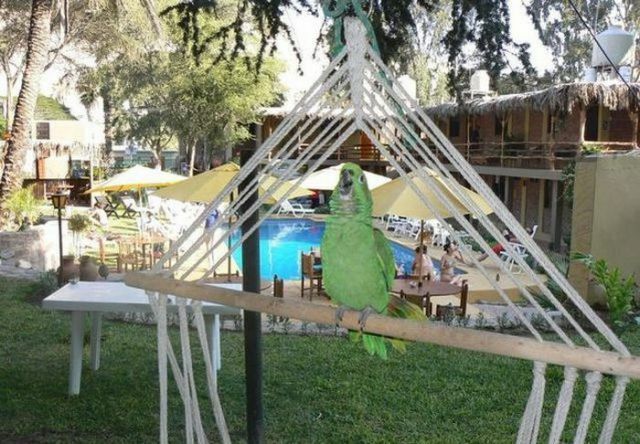 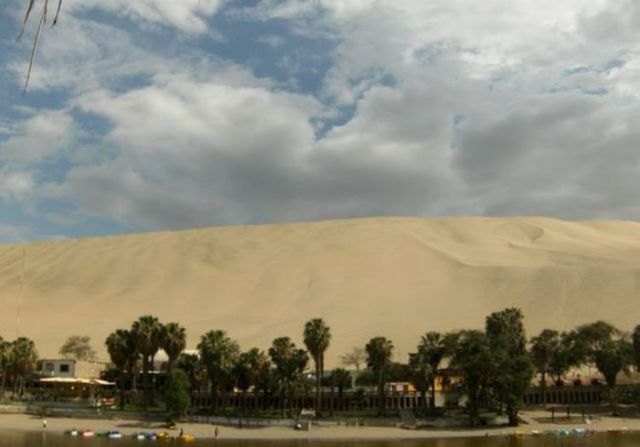 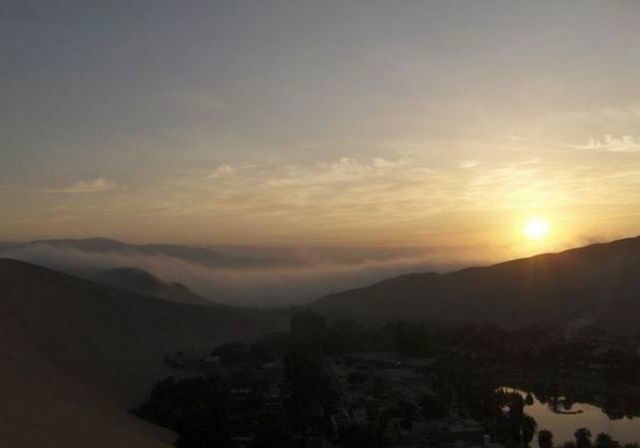 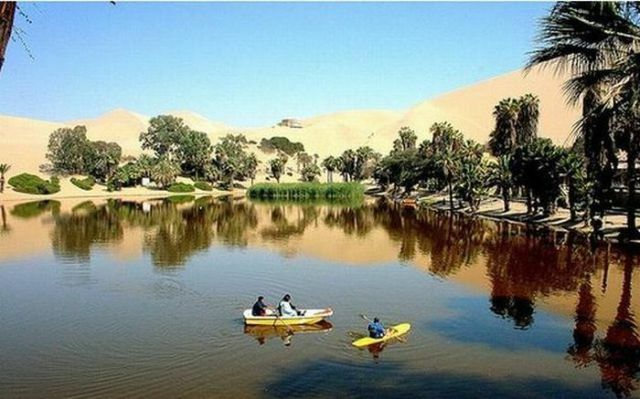 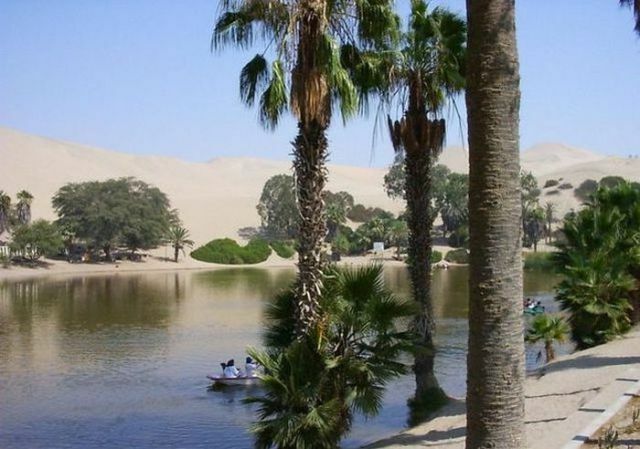 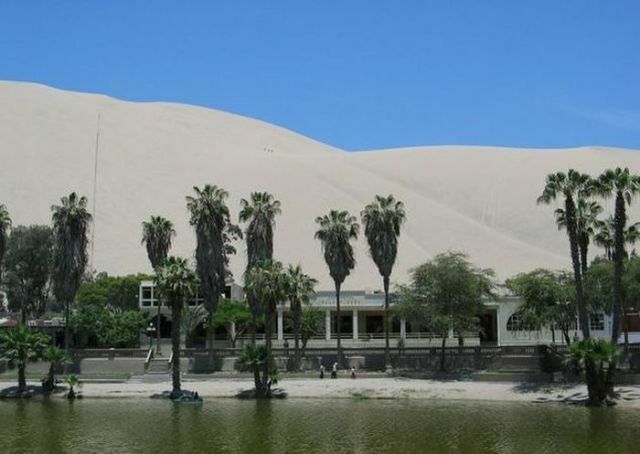 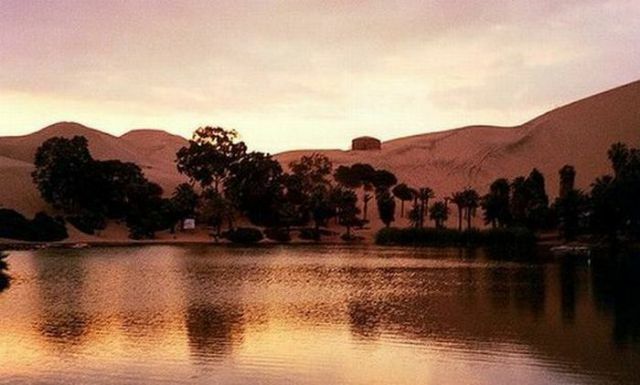 This small town has only 115 people and is a resort and tourist destination for locals from Ica and people wanting to experience desert activities like dune rides and sandboarding. 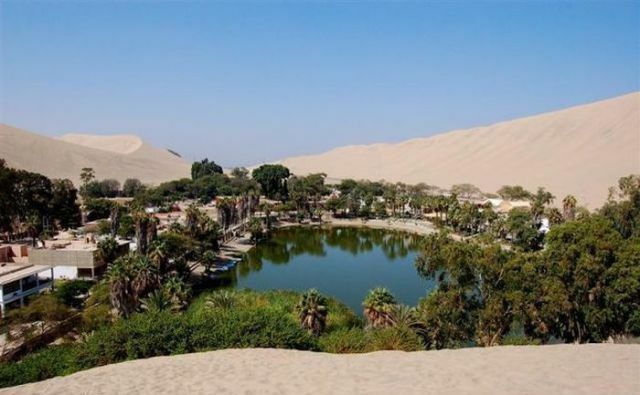 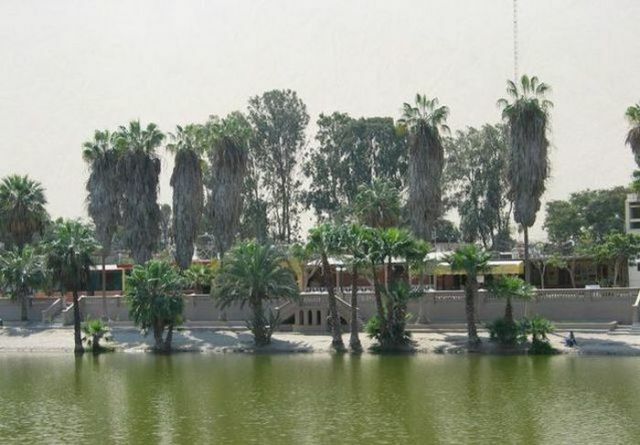 Located around a small lagoon, the legend says that a native princess was captured by a hunter and the water she was bathing in became the lake and that she now lives in the oasis as mermaid.